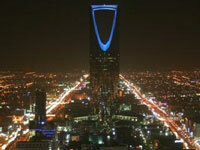 Riyadh is predominantly considered to be a business destination. However, the city is a fascinating blend of traditional Wahhabi culture and modern development, and as such there are plenty of interesting things to see and do in Saudi Arabia's capital. Riyadh is home to a number of historical sites, including the Al Masmak Castle, the City of Old Diriyah, and the Al Murabba'a Historical Palace. No doubt history buffs will pay each of these a visit. Although Saudi Arabia is famous for its oppressive heat, there are opportunities for outdoor activity in Riyadh, including golf, 4x4 desert trips (also known as 'dune bashing'), and football. These are must-sees on any trip to Riyadh, but visitors should be aware that most attractions keep hours vastly different to Western businesses; they open briefly in the morning, and then again from mid-afternoon to late evening, and are closed on Fridays or Saturdays. Women may only visit during designated 'family hours' so it is best to check ahead of visiting to avoid disappointment.